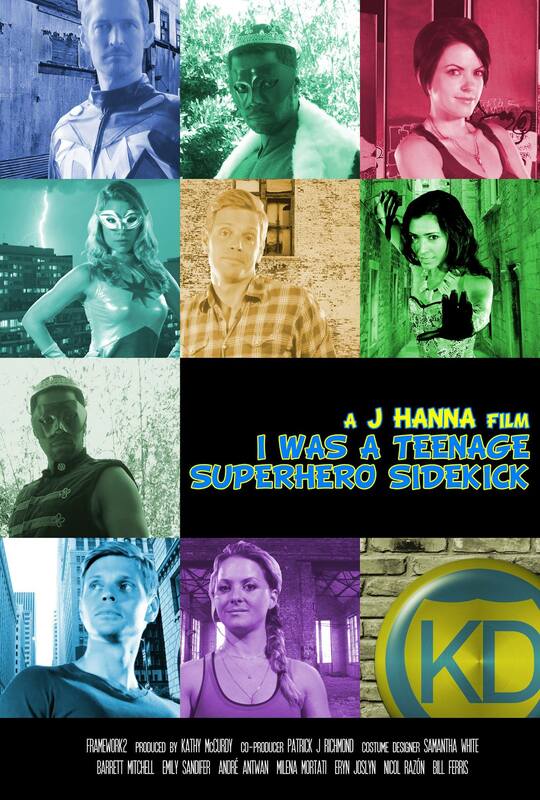 Today a second poster designed by PJ was released for I was a Teenage Superhero Sidekick. PLOT: Kid Dynamic, sidekick to Dynamic Man, quits the whole superhero racket and struggles with the transition…with finding himself. His hippy-dippy headshrinker, who insists on outdoor yoga classes during psychoanalysis, helps him find the courage to go for the simpler life he yearns for. What he comes to understand is that life isn’t so simple, with or without the cape.